Home / Search by Media Type / CD / WITCHFYNDE: The best of Witchfynde CD. Original, 1st version, British Steel. Top NWOBHM. Check audio. 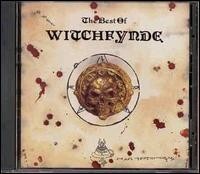 WITCHFYNDE: The best of Witchfynde CD. Original, 1st version, British Steel. Top NWOBHM. Check audio. With every infectious listen I have been spellbound by how good they are and how fresh their material sounds despite its vintage. A good blend of Black Sabbath, early Judas Priest and occult 70s progressive rock is how I’d try to describe them, but musically and thematically they really are in their own element, fans of other NWOBHM deities such as Angel Witch, Pagan Alter and Witchfinder General would most definitely warm to Witchfynde. Stand out tracks for me include Cloak And Dagger, Stage Fright and Wake Up Screaming. Formed in Nottinghamshire, England, Witchfynde were just one of many early-’80s groups to be conveniently lumped into the New Wave of British Heavy Metal. Witchfyndes roots can be traced back as far as 1975, but it wasn’t until late 1979 that vocalist Steve Bridges, guitarist Montalo, bassist Andro Coulton, and drummer Gra Scoresby achieved any manner of recognition with the release of their first single, “Give Em Hell.” Signing with Rondolet Records in early 1980, they quickly followed this with a proper album bearing the same name and none-too-subtle cover artwork (boasting a goat-headed devil-monster-thing), which no doubt gave future black metal pioneers Venom an idea or two. It did, land them a coveted support slot on a tour across the U.K. that summer with fast-rising NWOBHM stars Def Leppard, after which Witchfynde quickly set about recording their second album of 1980 with new bassist Pete Surgey. Released just before the new year, the notably mainstream Stagefright toned down both the occult imagery and the more aggressive elements of the bands sound. New vocalist Luther Beltz joined their ranks in early 1981, just in time to perform on the BBCs Friday Rock Show and watch the bands record company, Rondolet, go bankrupt. They re-emerged in 1983, signed to new label Expulsion, and released their third album, Cloak and Dagger. Vocalist Beltz distinguished himself with his King Diamond-esque falsetto, and the band certainly sounded tighter and more confident than ever. The album went nowhere and the musicians soon found themselves at yet another label (Mausoleum) with yet another new bassist (one Edd Wolfe) and yet another unsuccessful record, 1984s Lords of Sin. Once again, Witchfynde vanished from sight, but their inclusion in 1990s excellent N.W.O.B.H.M. 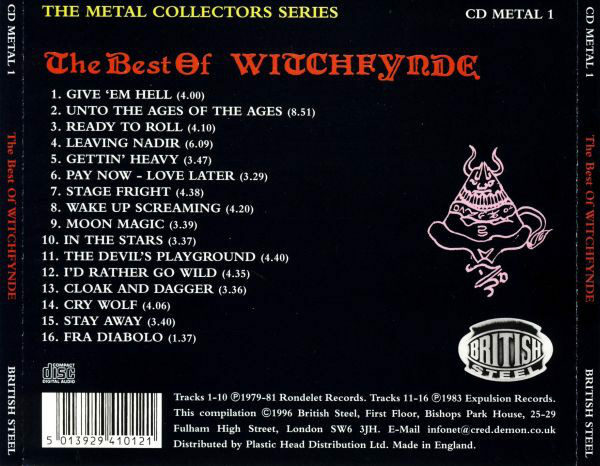 79 Revisited collection and a decent enough greatest-hits set in 1996s The Best of Witchfynde ensured that their name was never entirely forgotten. Drawing from all of their four albums, this collection nicely sums up the career of Witchfynde, a band which once figured in the middle echelons of the New Wave of British Heavy Metal. Their early material stands out both for its musical quality and its satanic themes, especially in the epic “Leaving Nadir.” Songs from their second album Stagefright lose the dark imagery, but retain bright moments, namely on “Moon Magic.” Then the then new singer Luther Beltz brings a King Diamond inspired falsetto! The songs on this collection are all drawn from the bands first three records (Give ‘Em Hell, Stagefright and Cloak & Dagger) and date from the heady days of the NWOBHM. Not only are they a testament to the bands tenacity and invincibility, but also a snapshot of a golden age of Metal. 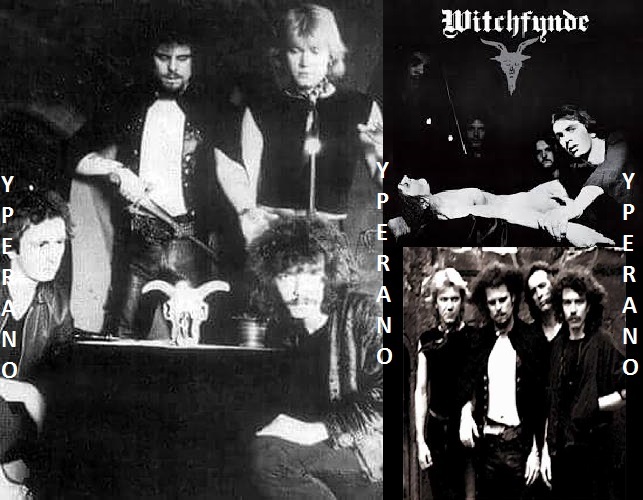 By the time the New Wave Of British Heavy Metal was hitting its stride in the early months of 1980, Witchfynde had become an overnight sensation, despite the fact that they’d been slogging away since the mid-’70s, sticking to their Metal guns and weathering the years of Punk like so many of those early NWOBHM acts. Trekking around the UK on a forty-or-so date club tour supporting Def Leppard brought them to the eyes and ears of a large number of new fans, and reports of stunning live performances and an exciting debut album greatly enhanced their reputation. Influenced by occult 70s bands like Black Sabbath and Black Widow, they took their concept one stage further and even today new generation doomsters like Paradise Lost still praise the name of Witchfynde. An affordable way for those who might be curious about this New Wave Of British Heavy Metal lesser-known band to listen to a good amount of their repertoire without having to purchase several discs. Imports are usually pricey. Total of sixteen tracks, lifted off their first three albums – ‘Give ‘Em Hell’ (’80), the under-rated ‘Stagefright’ (’80) and ‘Cloak And Dagger’ (’83). In all honestly, Witchfynde is one of those metal bands that you might have to seriously give their music a chance to sink in. I mean, if you’re a loyal fan of – say early Black Sabbath, Venom, Iron Maiden or maybe Budgie, I believe you should get as much out of this CD as I did.